With no end in sight to the ongoing War in Syria, we are holding a charity concert in Aid of Syrias Vibes. 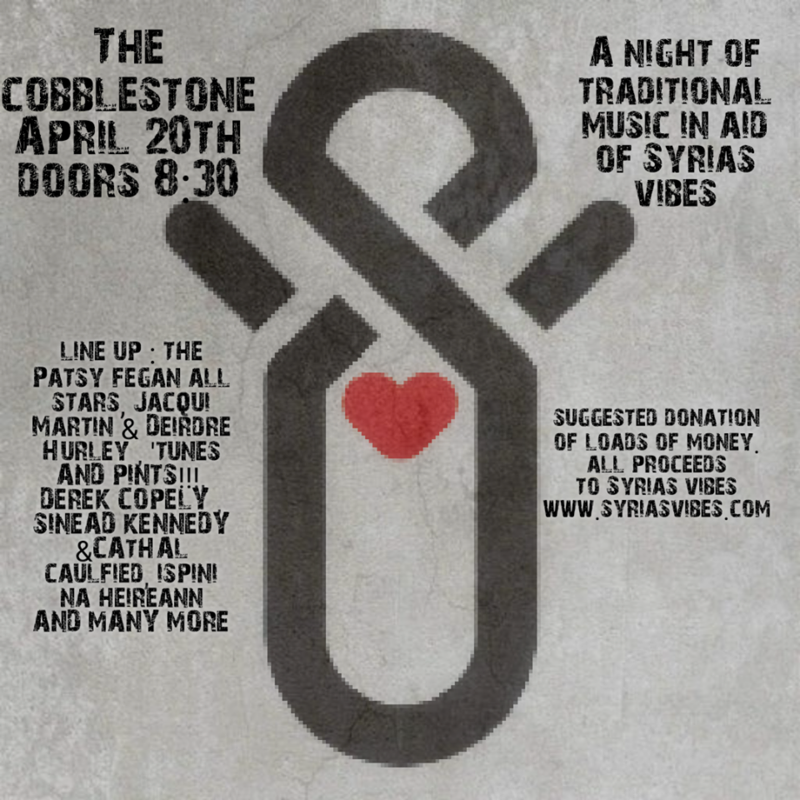 Syrias Vibes is an Irish charity created by Calvin James – “Supporting humanitarian projects in Syria, Iraq & Yemen through sound vibes.” Calvin will be speaking at the event. The line up for the night includes – Patsy Fegan All-Stars | Jacqui Martin & Deirdre Hurley | Tunes AND! Pints | Derek Copley | Sinéad Kennedy & Cathal Caulfield | Ispiní na hÉireann – and a few more surprises thrown in! There will be a raffle of the finest prizes ever seen in Dublin 7, including ‘The Mystery Prize’! Doors are at 8.30pm and it is a Donation based entry so what ever you can afford (loads of money please).